Have you ever come in second place in an event and felt like a failure for not taking first? Have you ever received a C (or an A-) on an exam and felt as though you failed? Have you walked into your kitchen to rediscover that your sink is still full of dishes and then declared that your home is an utter pigsty? Or have you had the experience of posting a comment or image on your Facebook account and received fewer likes and comments than you anticipated and then wished that you’d never posted it at all? If so, then you have probably experienced something called all-or-nothing thinking. And you’re not alone. I want to share with you a little bit about all-or-nothing thinking. It affects almost everyone from time to time. And it is often a defining characteristic of perfectionists. It is also a very common way of thinking among those who struggle with depression or anxiety. And it can affect to how we evaluate ourselves, our relationships, our performances, and our achievements. All-or-nothing thinking, also known as black-and-white thinking, is a way of thinking in which we unconsciously limit how we assess success. Instead of allowing for varying degrees of success, there is only perfection or failure. All-or-nothing thinking is fairly common. And in small doses, it isn’t harmful. But if this characterizes the way you think, it can be like poison to your emotional health. 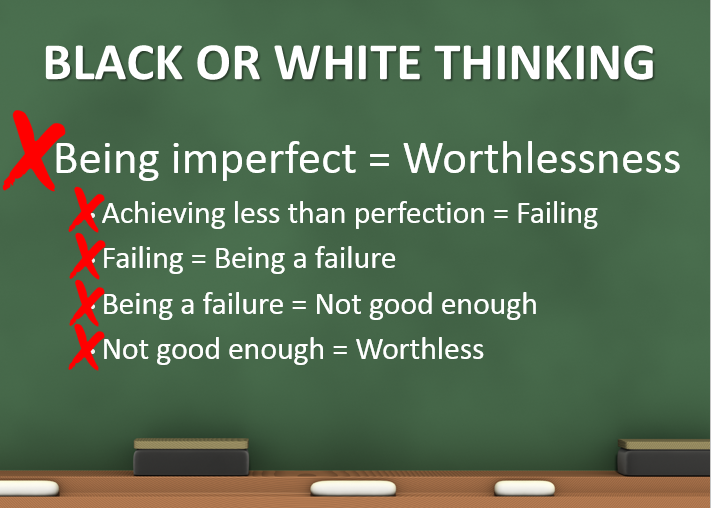 [All-or-nothing thinking] refers to your tendency to evaluate your personal qualities in extreme, black-or-white categories…All-or-nothing thinking forms the basis for perfectionism. It causes you to fear any mistake or imperfection because you will then see yourself as a complete loser, and you will feel inadequate and worthless. Every single step of that equation is wrong. Achieving less than perfection does not make you a failure. It makes you human. No one is worthless. And everyone is good enough. Black-or-white thinking tries to replace those truths with its lies. And its messages lead those who accept them to feel depressed, alone, hopeless, and trapped. Please, believe this message instead: Imperfection is not inadequacy. Not being flawless does not make you worthless. You are always good enough. So, what can someone do if they do often think in black and white? What if someone is depressed and most of their thoughts follow this bad logic? In some situations, it may be appropriate to seek professional help. Sometimes these thought patterns are the cause of depression, and sometimes they are the symptom of it. Sometimes changing how you think will change how you feel. But sometimes that alone is not enough. A professional can help in these situations. But in some situations, you do have the power to enact change. For example, there are things that can help you to retrain your brain so that you have more options than just perfection or failure. There is something in Cognitive Behavioral Therapy known as cognitive restructuring which helps you to change your default ways of thinking. I will share with you one technique involved in cognitive restructuring known as the triple-column technique. Eventually, if you keep this kind of log for long enough, you can retrain your brain to automatically auto-correct itself when those negative and distorted thoughts pop in. It leads to much more positive, realistic and hopeful thinking. If you do struggle with black-or-white thinking, I encourage you to try this restructuring activity for the next week and see what happens. You may find that it helps you to be more accepting of your imperfections and more aware of and grateful for your accomplishments. And if you think that you need professional help, please seek it out. You’re worth it! Last month, the death of beloved comic and actor Robin Williams shocked the world and sparked a flurry of conversations on the topics of depression and suicide. Such a loss, while always tragic, is unfortunately not uncommon. Nearly 40,000 Americans complete suicide attempts each year. These individuals leave behind countless loved ones: parents, spouses, siblings, children and friends. One study estimated that each suicide intimately affects at least six other people. It calculated that given the 805,286 suicides between the years of 1987 and 2011, there were roughly 4.8 million survivors (the term “survivor” refers to family members and friends of a loved one lost to suicide). That number is closer to 5.5 million now. This breaks down to roughly 1 out of every 58 Americans. 1 in 58 people you meet have likely lost a loved one to suicide. So why aren’t more people talking about it? Despite its far reach, suicide is largely a silent epidemic and has remained in the shadows. Wendy Parmley, in her new book, Hope After Suicide: One Woman’s Journey from Darkness to Light, breaks the taboo, brings the topic out of the shadows, and gives voice to her experience as a suicide survivor. And she does so with great courage and authenticity. Her book begins with her first-person account of her experience when her mother committed suicide, an event that took place when the author was a tender twelve years old. She then shares experiences detailing how that event affected her life in the years that followed. She also writes of her pathway to healing. I really appreciated Hope After Suicide as an honest voice that was willing to share the difficult realities associated with losing a loved one to suicide. There is great potential for her story to resonate with and normalize the experiences of many other survivors of suicide who may feel alone and broken as they mourn and try to make sense of their loss. It also has the potential to resonate with those who have experienced a traumatic loss but are not yet ready to confront it or heal from it. Throughout the book, the author references a metaphor that defined her process of coping and guided her process of healing. It is a metaphor that can be helpful to individuals who have experienced various forms of loss. She writes of “burying her heart with stones”. She first tells of a heart that felt empty, injured and broken. Her initial response to this pain was to try to bury her heart in an attempt to bury her hurt. She wrote of her efforts to numb the pain through friends, music, late nights, boys and motorcycles. She wrote of getting to a point where she yearned to feel again: “I wanted so desperately to feel her love. But instead, I buried my heart with rocks and put on a glass face.” In her efforts to protect her heart, she had covered it and in some respects lost access to it. In her quest to heal she learned that she had to uncover her buried heart. With the guidance of a therapist she began a journey that required courage, vulnerability, hurt and time. She braved it. She also learned that in order to remove the tiniest rocks and to lift the heaviest ones, she needed spiritual help. And she found that help and healing. 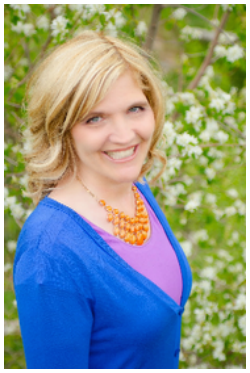 She shared this message with her readers: “We all have a story—hidden secrets buried in dark and rocky earth. Our journey is to unearth the pain and discover the good, discover the healing, and discover the love—to uncover the darkness and make space for light.” This universal human message, learned in a crucible forged by loss, is one that can be instructive to each of us, regardless of the source of our heartbreaks. It is a story of hope. It is story about allowing light back into hurt and hardened hearts. Last year my friend Bruce shared an analogy for life with me: he likened life to a pinball machine. I have had some exposure to pinball machines. In Junior High my friend Shawn had a Star Trek pinball, and in high school my aunt and uncle had a pinball machine in their game room that I would play at cousin slumber parties. 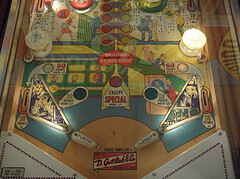 With a pinball machine, you pull back a lever, release it, and then it sends the pinball flying to the other end of the machine, and then gravity compels it to come back down. But, through paddles controlled from the outside of the machine, that ball can be hit, whacked, and launched back and forth, side to side, and up and down at varying angles. Backwards and forwards you might say. In his description of this analogy, Bruce explained that there are times where he has seen himself seemingly progressing forward, only to then find himself unexpectedly whacked and launched in a completely different direction. Whenever it seemed that things were going smoothly, he was paddled again and ended up in new and unfamiliar territory. He said that during those times, it felt as though he was often disrupted from a steady progression. But, in retrospect, he can see where he was being guided in a forward direction continually. It is often fun for me to look back and ask myself, “Ten years ago, where did I think I would be ten years from now?” or “Five years ago, what did I think that my life would be like in five years?” Consistently, what I would have imagined or hoped for myself professionally, geographically, or related to relationship status was not realized. I was always sent some other way. But I can consistently look back and see ways that my life has been divinely guided, and I can recognize that I have been moving forward, that I am growing, developing, learning and that I have been able to make a difference in the lives of others. I have been moving forward, even though forward has taken me in unanticipated directions. So if you feel smacked, disoriented, derailed or otherwise seemingly knocked off course, have hope. These experiences are still propelling you forward, and they will make you a stronger person if you let them. Exercise helps people feel better. It elevates mood, and can even help prevent and treat depression. Exercise is like a natural antidepressant, releasing serotonin in the brain. It has been found to be as effective of a treatment for depression as antidepressant medications, and its effects are longer lasting. Research has also linked regular exercise with increased self-esteem and people who exercise are more likely to see themselves as being competent. And, to quote Elle from the movie Legally Blonde, “Exercise gives you endorphins. Endorphins make you happy. Happy people don’t shoot their husbands. They just don’t!” So there you go. Exercise, be happy, and don’t shoot your spouse. Exercise helps decrease your stress! People who exercise regularly report lower stress and are more resilient to stresses in their day. And for those diagnosed with anxiety, exercise has been found to help them perceive fewer things as threats and otherwise decreases anxiety symptoms. This may in part be because exercise helps strengthen the heart and lungs, contributing to regulating their heart rates and breathing. 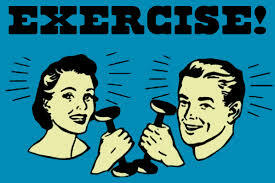 Research has also found that exercise can be as effective of a treatment for anxiety symptoms as some medications. When you exercise your body, you are also benefiting your brain. Exercise has been linked to increased memory, better focus and attention, and better academic success. In one study, students who exercised achieved better grades in math and reading and had higher IQ scores. One study found a correlation between gym membership and higher GPAs in college. Exercise has also been linked with neurogenesis, or the growth of new cells. This is associated with learning, and may have implications for avoiding Alzheimer’s. People who exercise regularly have better self-control. Now, you might be thinking, well, maybe it is just that people with better self-control are more likely to exercise. Touché. But! Research has found that people who were assigned to exercise for several months, when compared to another group who didn’t, ended up showing better self-control in almost every aspect of their lives: less drinking and smoking, more controlled eating, less compulsive spending, fewer angry outbursts, less procrastination and better study habits. And in a study with elementary school students, those who exercised were less impulsive and less fidgety in class. Maybe it is a stretch to consider this “mental health”, but for you parents of young kids, it will probably help your mental health if you get your kids active! Exercise has been associated with fewer behavioral problems being reported in school in both regular and special education classes. If kids (or adults) are getting out their energy, increasing their focus, regulating their impulses and activating their brains, they are less likely to be misbehaving. Even if it is something small like going for a walk, that has been found to make a difference. But for best results, find something of moderate intensity that gets your heart rate up. So, what are you waiting for? It’s time to make like a nylon and run.